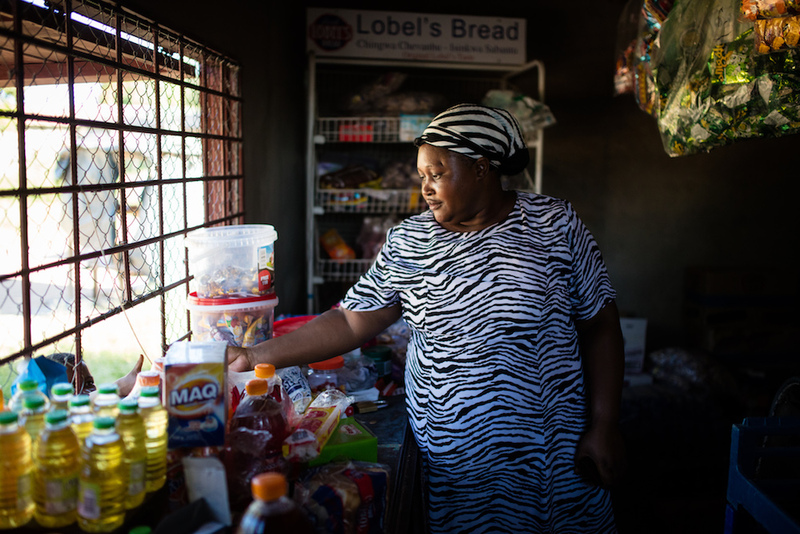 HARARE, Zimbabwe, December 20, 2018 /3BL Media/ - Thrive, a microfinance business based in Harare, Zimbabwe believes in lending that leads to economic growth for women and girls who would ordinarily fail to access financial services from the mainstream financial sector. Thrive joins Business Call to Action with a commitment that will provide microenterprise loans and borrowing and business management training for 16,500 economically active low-income women and girls. Launched in 2008, BCtA aims to accelerate progress towards the Sustainable Development Goals (SDGs) by challenging companies to develop inclusive business models that engage people with less than US$10 per day in purchasing power (in 2015 dollars) as consumers, producers, suppliers and distributors. Over 220 companies, ranging from multinationals to social enterprises, and working in 68 countries, have responded to the BCtA by committing to improve the lives and livelihoods of millions in developing countries through access to markets, financial services, affordable healthcare, water and sanitation, education and other critical services. In Zimbabwe, where 90 percent of the economy is informal, the worsening macroeconomic situation has resulted in an increase in migration to urban areas. This has contributed to a housing shortage and other social problems that compound already limited economic opportunities and access to finance. Thrive microfinance aims to support communities that have been subject to these socio-economic issues by targeting small-scale female traders, such as a home-based manufacturers and small scale farmers, who operate outside of the formal business system. Many of these small business owners are women and girls who are unable to increase revenues or acquire assets due to a lack of financial literacy or access to safe and fair finance options. Thrive recognises that in order to contribute to women’s economic empowerment, their business model needs to put the borrower first and address the underlying power imbalances that prevent many women from lifting themselves out of poverty. For this reason, Thrive has developed an innovative product portfolio that not only contributes to increased financial independence, but also increases opportunities to access adequate and secure housing. This has knock-on effects of contributing to better health and reducing the risk of gender-based violence. Thrive microfinance also takes individual women’s circumstances into account by providing a tiered approach where a woman can progress from a group loan holder to a personal micro-housing loan. The starter product is a group enterprise loan, which is designed to support the working capital needs of a small business. Over three or four cycles, successful borrowers grow their businesses, diversify their income streams and increase profitability. At this stage most customers will join cooperatives that enable them to eventually secure pieces of land for future dwellings. Thrive then continues their support by providing a micro-housing loan which enables the borrower to build their house over three or four loan cycles. “Our loans are responsibly and transparently priced and compare very well with the market averages. Over the last five years, our approach to development has been tested with good results, we are confident that scaling it up will bring significant positive outcomes to other Zimbabwean women,” said Thrive Managing Director Brian Nyabadza. “Thrive’s commitment to enabling low income earning women and girls to build assets that cushion them against socio-economic shocks in Zimbabwe is a great example of how a social enterprise can address sustained, inclusive and sustainable economic growth,” said Paula Pelaez, Head of Business Call to Action. Thrive is a developmental microfinance that exists for the economically active poor who would ordinarily fail to access financial services from the mainstream financial sector owing to their inability to meet conventional banking requirements. Thrive supports a bottom of the pyramid market segment by providing group dynamics & financial literacy training en-route to business credit access and micro-housing loans.